We are happy to announce a new advisor who is joining Beam’s Advisory Board. Bo Dong will be advising Beam, accomplished and highly-mastered individual contributing to the Fintech and Cryptocurrency industries will be taking an active part in the execution of Beam’s strategy. We are glad to announce that we are adding Bo Dong to Beam Advisory Board. Since 2016, Bo has heavily involved in both entrepreneurial and trading ventures in cryptospace, and has a deep understanding of token economics and liquidity. Bo is the founder and CEO of Altonomy, a well-known liquidity provider in crypto space. Bo is a long-standing friend and supporter of Beam, so adding him to the Advisory Board just makes it official. Altonomy is a digital assets trading, advisory and asset management firm with offices in Singapore and New York. The company is the first dedicated sell-side trading desk that provides institutional-grade liquidity solutions, OTC trading, advisory and asset management services for the digital asset market. 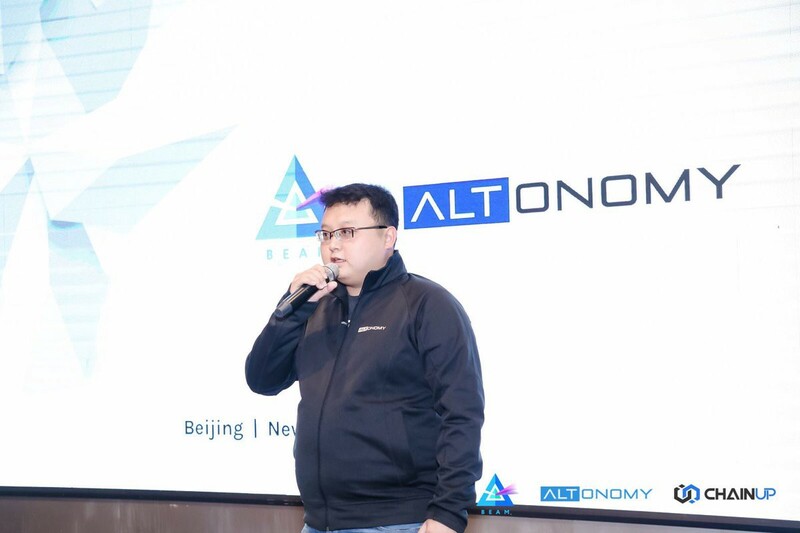 Altonomy has been facilitating OTC trade for Beam since Mainnet launch and specialises in providing liquidity for both buyers and sellers. We are excited to have Bo onboard and we are sure that his expertise will help Beam realize its goals. Beam is a Scalable Confidential Cryptocurrency based on Mimblewimble.